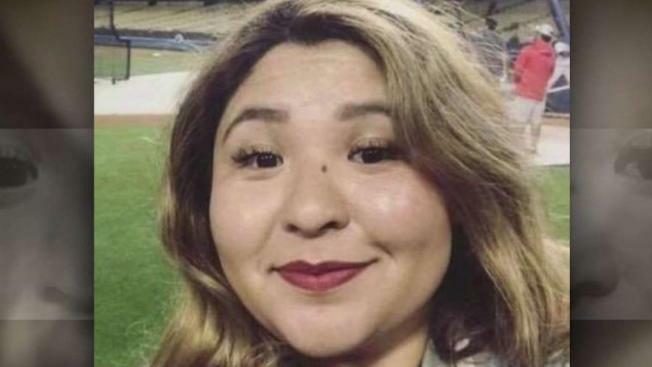 One day after a hostage situation stunned the community, Silver Lake gathered to mourn Melyda "Mely" Maricela Corado, the manager of the area's Trader Joe's. Corado died in the standoff between police and 28-year-old Gene Atkins on Saturday. Customers, co-workers and strangers left flowers and handwritten notes on the sidewalk outside the store where Atkins barricaded himself after allegedly shooting his grandmother and leading police on a wild chase. Corado was shot dead in the exchange of gunfire between police and Atkins at the conclusion of the pursuit. Investigators are still trying to figure out whose bullet struck Corado, but that detail won't change the community's grief at losing a familiar and friendly face. Corado moved to Silver Lake after four years at the Trader Joe's in Toluca Lake, with employees describing the store as a close knit family. Co-workers say they will miss her "loud" and "bold" personality. Security guard Raymond Shafazarian, who started working at the Silver Lake grocery store four months earlier, was heartbroken and frustrated that he wasn't working Saturday. "It's like I lost one of my family," Shafazarian said, visibly emotional. Shafazarian said store policy didn't allow him to bring a gun to work. "They don't want to us to have guns," Shafazarian said. "I have no idea why because the gun is to protect somebody from [a] crazy man, like yesterday." However Shafazarian says he plans to bring his gun to work on Tuesday. "If they like it or not, even if they said to me, 'You're fired,' that's fine," Shafazarian said as he failed to hold back tears.